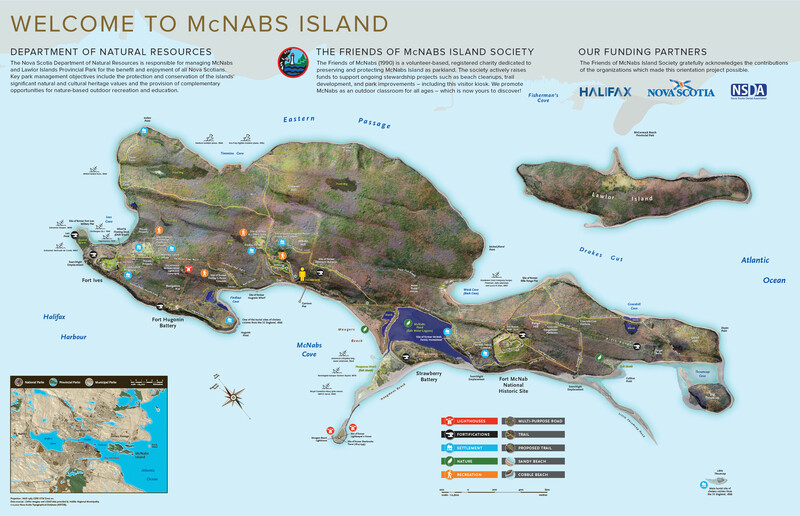 McNab’s Island looms large in Halifax harbour, an imposing mass of land. People who visit enjoy the old buildings, forts, and fresh air. McCarthy led a small group around the island on Friday, showing off new signposts, a wharf and potential construction sites. 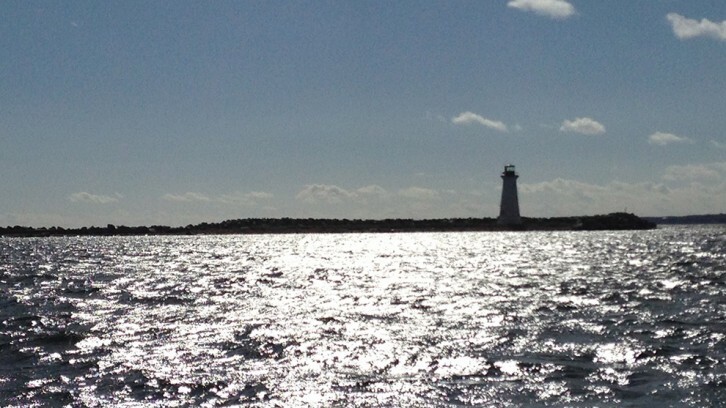 Friends of McNab’s recently partnered with Waterfront Development, a provincial Crown corporation, which donated $180,000 to the island for repairs and renovations. McNab’s Island is at a cross-roads. It is a popular tourist destination, but years of storms and low funding have left many parts of it in disrepair. 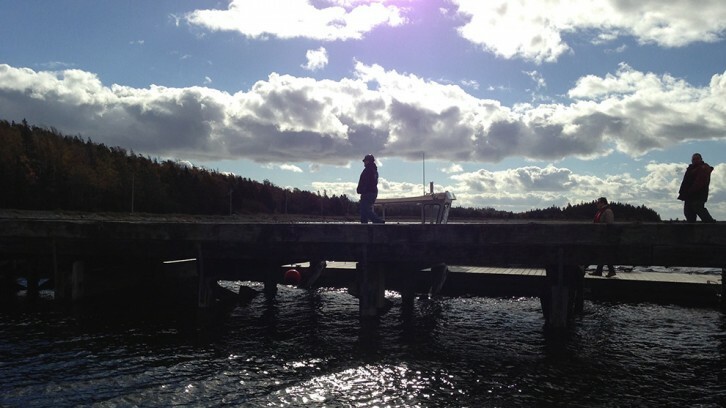 Friends of McNab’s and Waterfront Development, charged with fostering more activity on Halifax’s waterfronts, are working together to improve it. Signposts are a major addition to the island. 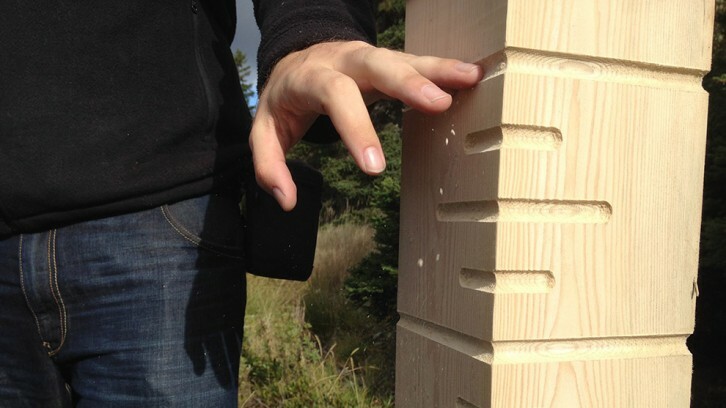 Thirty posts have been planted around the island, each with specific directions. The post are anti-graffiti coated. Vandalism is a concern, as information panels were recently damaged. 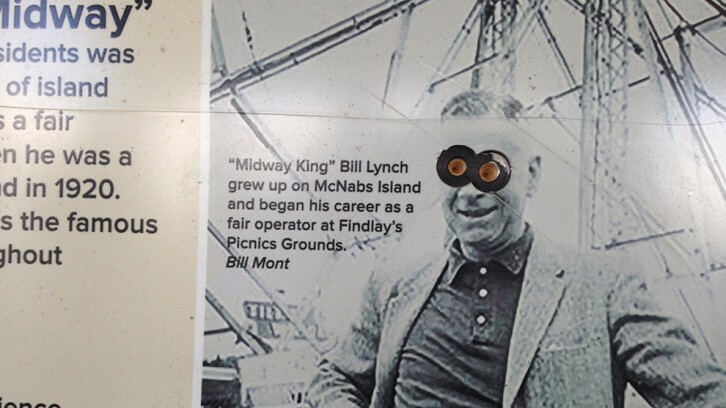 Scratch marks were made across information about the area and a photo of Bill Lynch, who operated a famous carnival on the island, has his eyes scratched out. “One time, someone put a big log down the hole of a toilet,” said Faye Power, a former resident of McNab’s, who was on the tour. 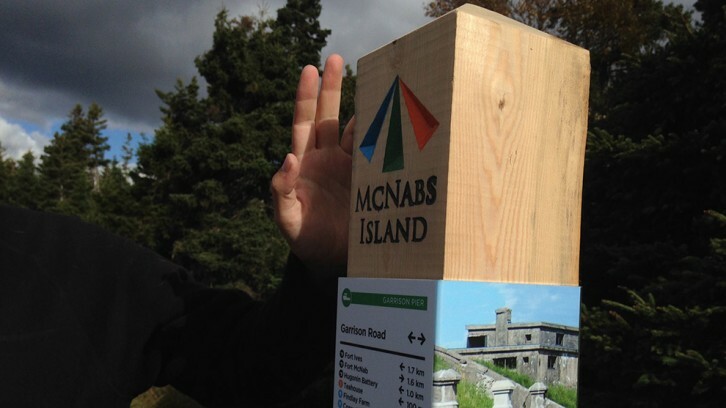 Beyond deterring vandalism, Friends of McNab’s want further repairs to the island. The pathway along the beach is completely covered with rocks, making it difficult to navigate. McCarthy said the group will probably have to create a new path farther inland. Deeper inland, other paths are also in bad shape. After Hurricane Juan in 2003, machines that cleaned up debris left large ruts in pathways, making them muddy and uneven. On the coast of the island is Maugers Beach lighthouse. The federal government has declared it surplus and will eventually dispose of it. McCarthy would like to put it under Friends of McNab’s control. Despite these problems, McCarthy still sees McNab’s as an attractive destination. She wants to expand its features, creating a map with interactive features. 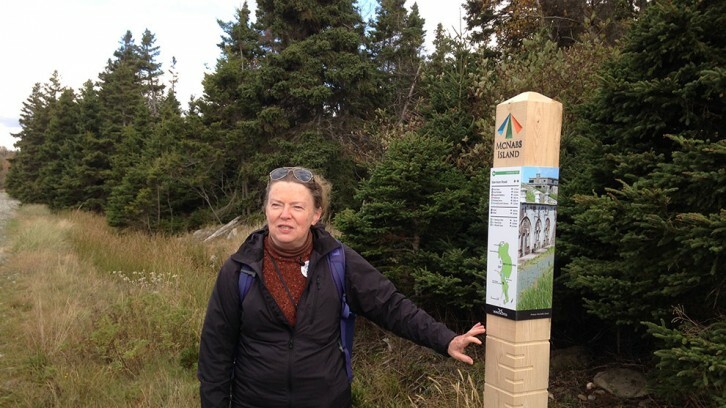 She also wants to place information boards at every site on the island. “On McNab’s, you stumble across history,” she said. Partnering with Waterfront Development has opened new avenues for Friends of McNab’s, but McCarthy doesn’t want to stop here. “There’s a lot more to do,” she said.